Medium pale straw in colour, this Chardonnay is an appealing fruit driven wine with aromas of candied citrus fruit, pear drop and ripe melon flavours that continue to a long finish. It has a bright and golden yellow colour. Intense smell of banana, pineapple and hints of vanilla. 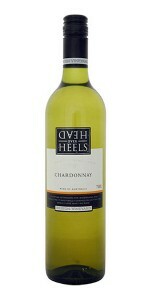 Balanced and unctuous with a great persistence and a fresh harmony of tropical fruit and vanilla. Green/yellow with golden highlights. Abundant, ample and generous with well developed aromas and flavours, and a long persistent finish. The weathered red volcanic and slate soil of Urziger Wurzgarten make it unique on the Mosel. It produces a completely different kind of wine, with exotic, spicy aromas and a mesmerising earthiness. No other vineyard on the Mosel produces wines so bursting with tropical fruit flavours. This wine is a pure expression of Marlborough Pinot Noir with ripe berry fruit flavours, a hint of spice and a silky finish. Highfield’s Pinot Noir style is typically ripe and succulent with loads of savoury mushroom and earthy spice characteristics. The grapes are selected from the inland, elevated Matapiro region and matured in French Oak Barriques. This vintage shows very good depth of vibrant plum and spice flavours, fresh and smooth. 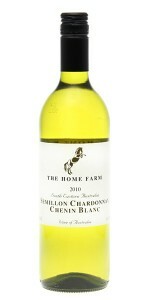 A well balanced Chenin with guava flavours, finishing on a crisp fresh finish. Light yellow with greenish hues. Noticeable, complex, elegant varietal aromas. Good structure, warm and unctuous with good body. Very fruity, long, persistent finish.